No one was injured when Illinois State Police opened fire during a traffic stop on Chicago's south side Saturday night. CHICAGO (WLS) -- A juvenile is in custody, accused of getting into a shootout with Illinois State Police troopers on Chicago's South Side. 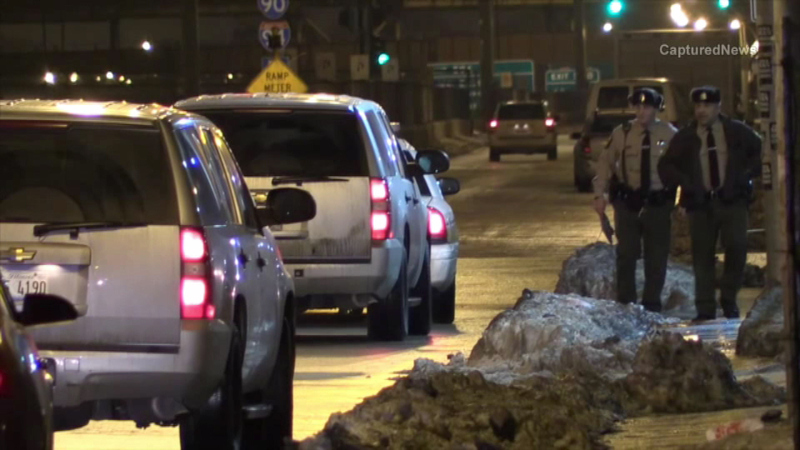 The incident began as a traffic stop near a gas station at 55th Street next to the Dan Ryan. A license plate check revealed the vehicle had been stolen. The 17-year old male suspect ran from the vehicle. Police say the offender fired a single shot at the officer, who then returned fire. Police caught the suspect and recovered his weapon.